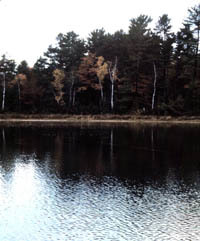 Six miles southeast of Presque Isle on Grand Lake Road, the Besser Natural Area contains a stand of mature, virgin red and white pine with spruce, balsam, cedar and birch. 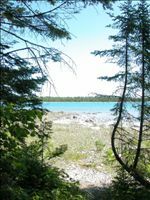 Includes over 4,000 feet of Lake Huron shoreline composed primarily of limestone gravel shore. Provides habitat for plant species of special concern, including the Pitcher's thistle, a plant threatened with extinction. One of the areas in Michigan with virgin white and red pines, the Besser Natural Area is a beautiful historic site in Presque Isle and also the former village of Bell. In winter, snowshoe through the one-mile trail that leads through the “ghost town” of Bell, just 20 minutes north of Alpena.